The guests of Hotel Paros will be attracted by the warm atmosphere and professional service at reasonable prices. 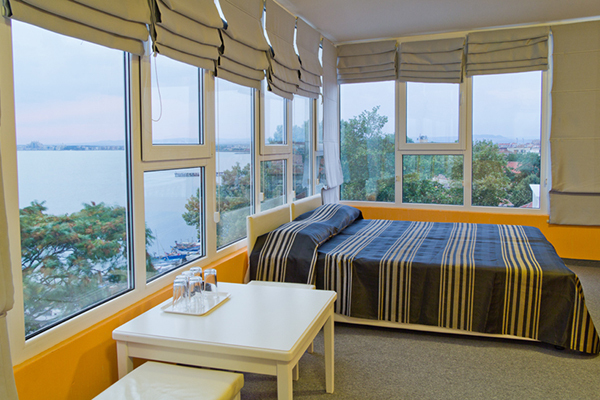 The proximity of the beaches and the sights of Pomorie, as well as the lovely view of the sea, will leave the guests with unforgettable memories. Hotel Paros offers 19 double rooms (each one can have an additional bed), 1 studio flat, 2 panoramic apartments on the 5th floor, serviced by an elevator. 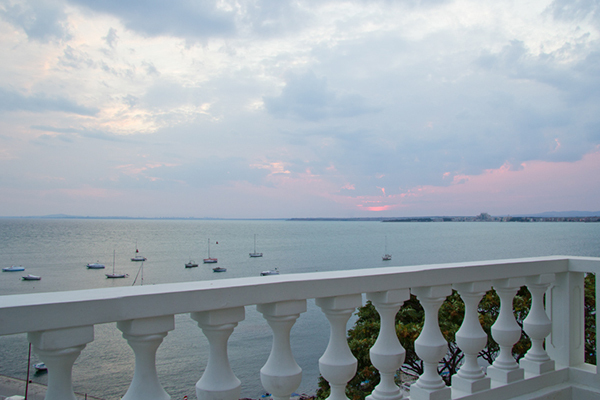 All rooms are well-appointed and overlook the sea. In the hotel lobby, there is a stylish restaurant which has a view of the Yacht Port. One of the famous sights in Pomorie, the monument of the poet Yavorov and the Rocks of Yavorov, are placed in a small park in front of the hotel. The distance between the hotel and the town center is 150m. 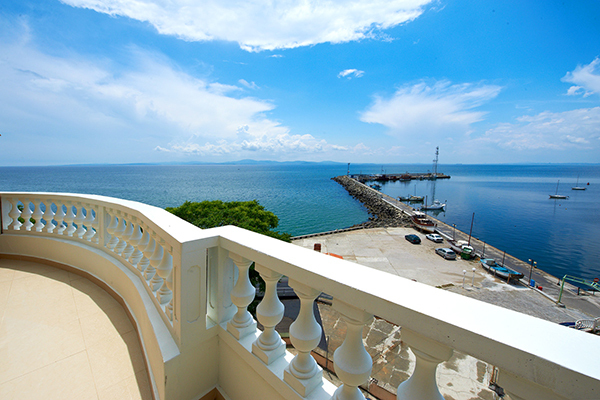 There are shops and a drugstore near the hotel, as well as a bus-stop to Burgas, Nessebar, Sunny Beach. It’s a 6-story hotel, serviced by an elevator. All rooms are air-conditioned and have bathroom and toilet, cable TV, internet, balconies. 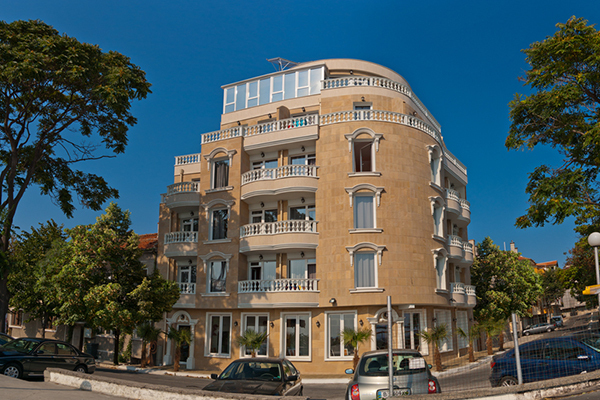 Hotel Paros is a new hotel in Mediterranean style, situated on the beach, overlooking the sea and the old part of town.